Australia has some of the most beautiful beaches in the world so this week’s challenge of Surf and Sand is a perfect fit. 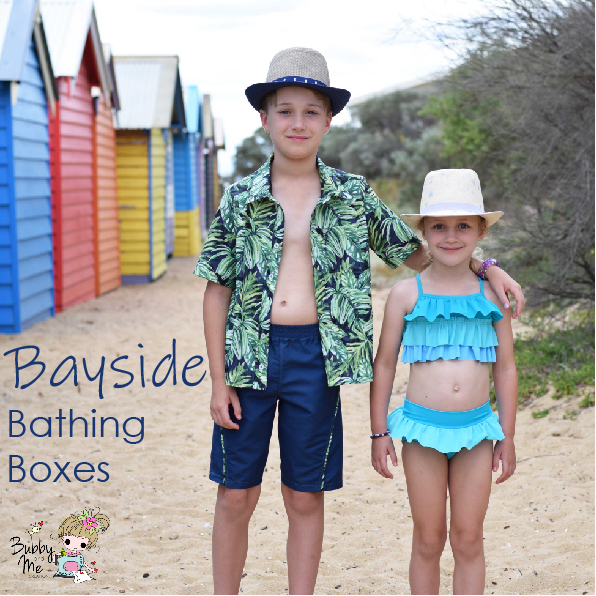 Melbourne is located in a bay so no surf beaches here but what we do have are some pretty amazing bathing boxes on our beaches located close to the city and further down the Peninsula. 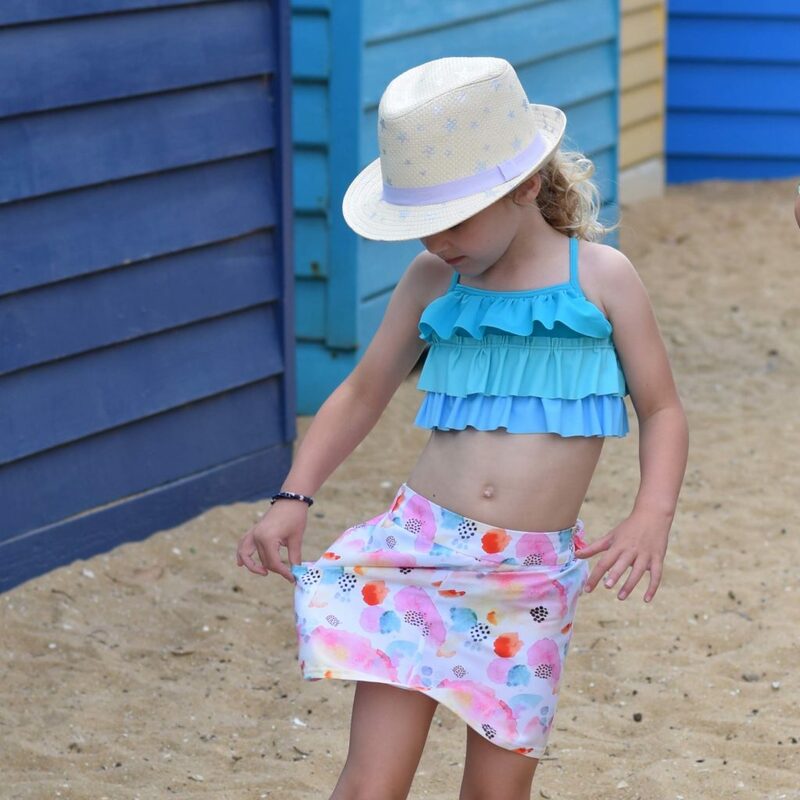 This week’s photo shoot was taken at Brighton Beach bathing boxes. For this week’s challenge, I’ve gone with a cool, seaside look. I love seeing the personality in my kids develop as they grow and this is never more evident than in the clothes they choose to wear. 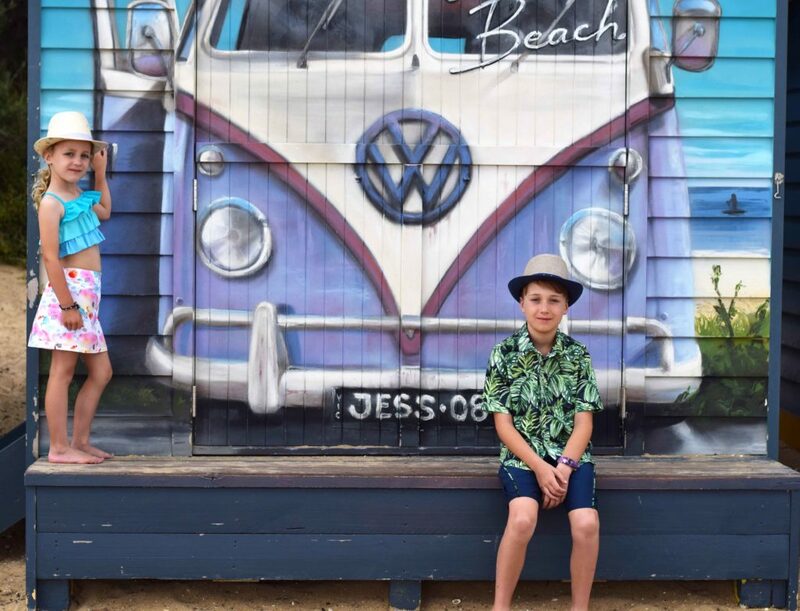 This fedora hat has become a firm favourite with my boy, along with collared shirts. He likes the ability to be able to were these shirts open, particularly on hot days, as he says they feel cool and lightweight. I’ve used the Ainslee Fox Archie Shirt and this is the first time I’ve actually made a collared shirt. I added a front pocket to the left side and also made faux cuffs for the short sleeves. The fabric is cotton poplin from Spotlight. 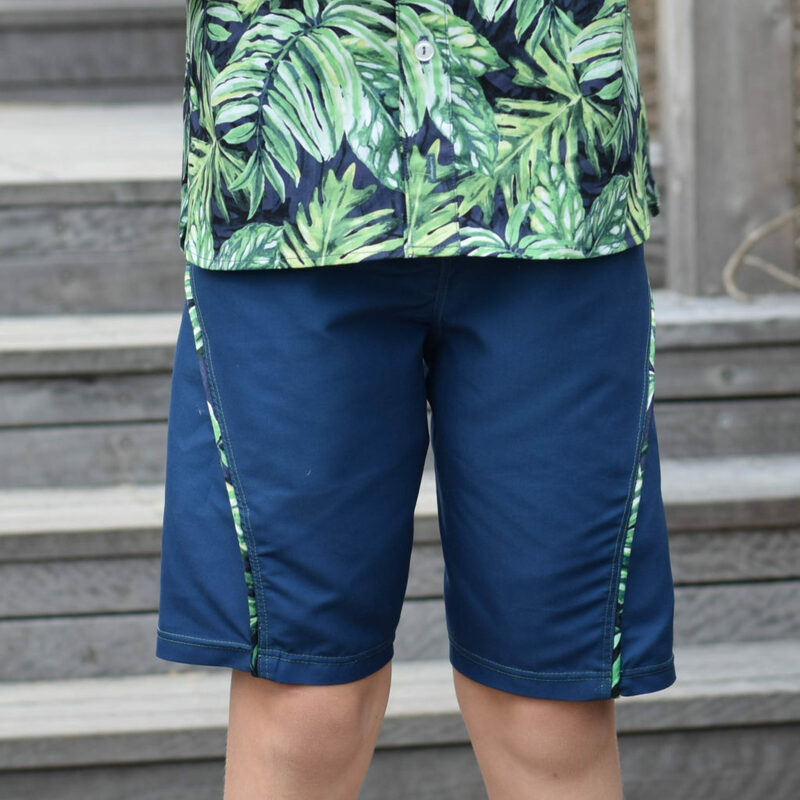 For his shorts, I’ve used peach skin (board short fabric) which I had in my stash and added piping in the same fabric as the shirt. 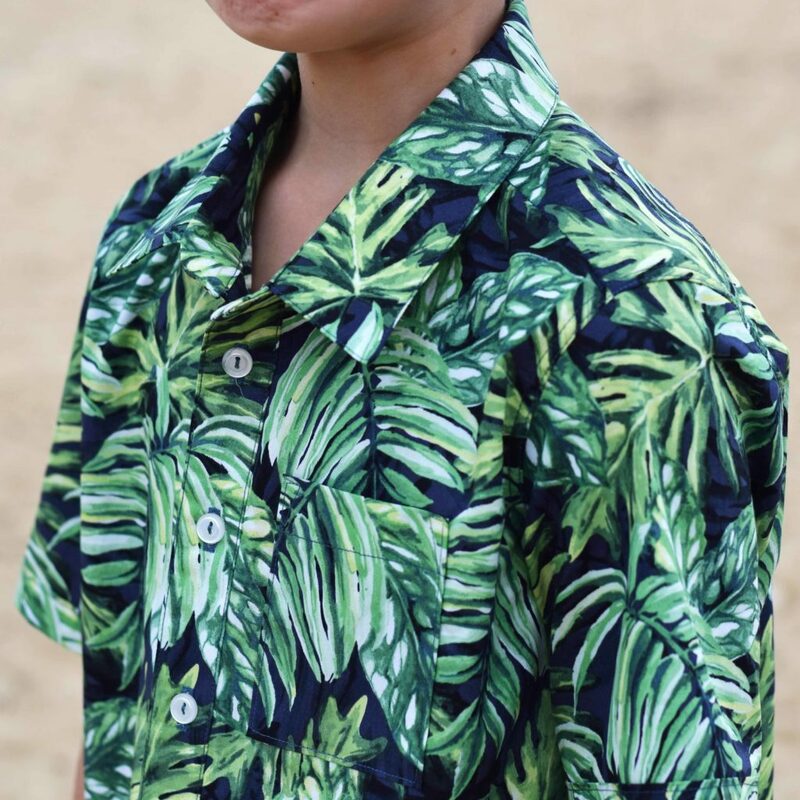 The seams are all top stitched in a contrasting green thread that compliments the green in the shirt. The pattern is the Riptide Boardshorts. 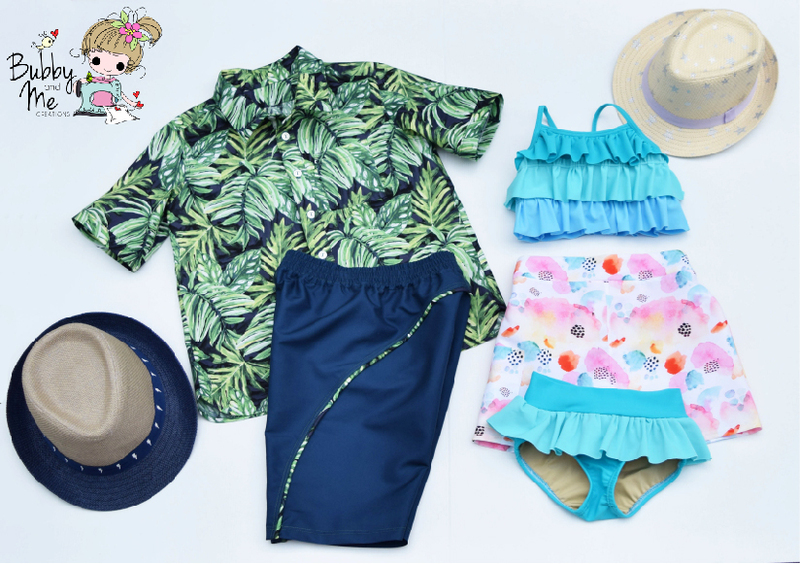 For my girl look, I’ve made a ruffled bikini with varying shades of blue for the ruffles and a board skirt, as opposed to board shorts! The bikini is the Swimmers pattern from Boo! Designs. I’ve added 3 ruffles to the bikini top and used the skirted briefs hack, but added a coordinating ruffle instead. 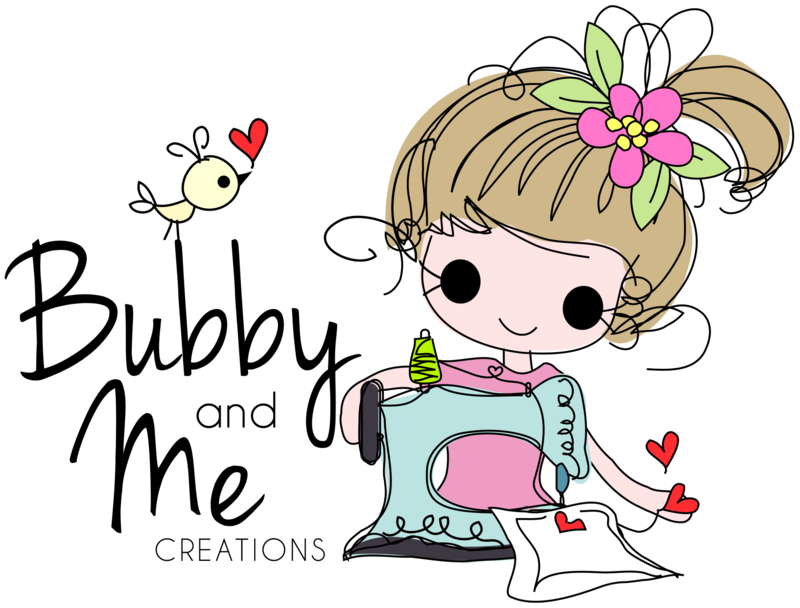 I’ve also used the single binding method for the straps and binding, which is much easier and faster. The fabric is matte Italian Linel from Shine Trimmings & Fabrics. 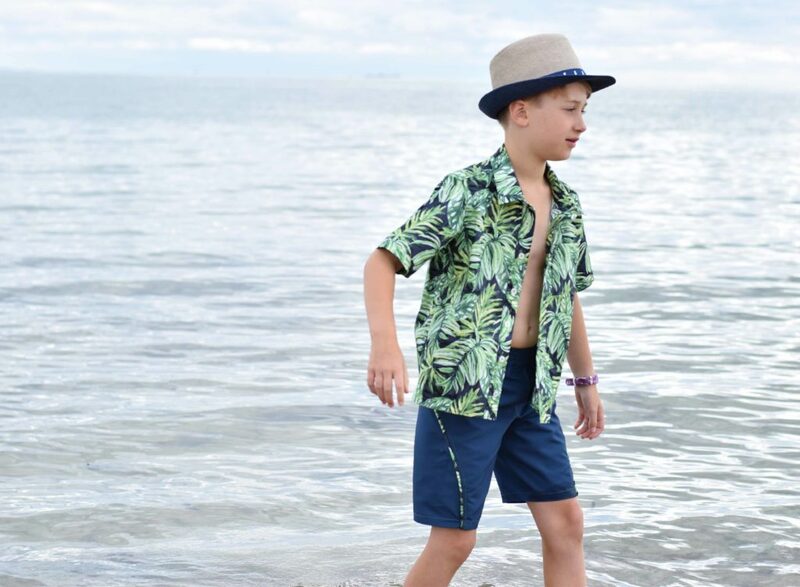 Pockets are perfect for shell collecting, which is something we do every beach visit. And the great thing about this skirt is that it doesn’t matter if it gets wet as peach skin is quick drying. The pattern is my own. I really hope you’ve enjoyed my look for this week. If you would like to vote for it, pop along to Project Run and Play for more details.